Seriously? OMG! WTF?Gary Busey Archives - Page 3 of 3 - Seriously? OMG! WTF? Gary Busey and his not so mini-me son Jake! 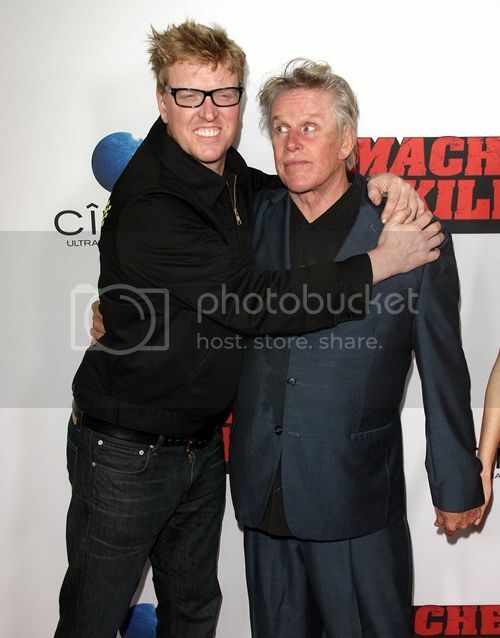 Gary Busey and his son Jake attended the premiere of Machete Kills and we got this sweet picture of them together. We also get see that those teeth are hereditary. Guess who looks just like his dad? Want to see who is a chip off of the block teeth then click here!